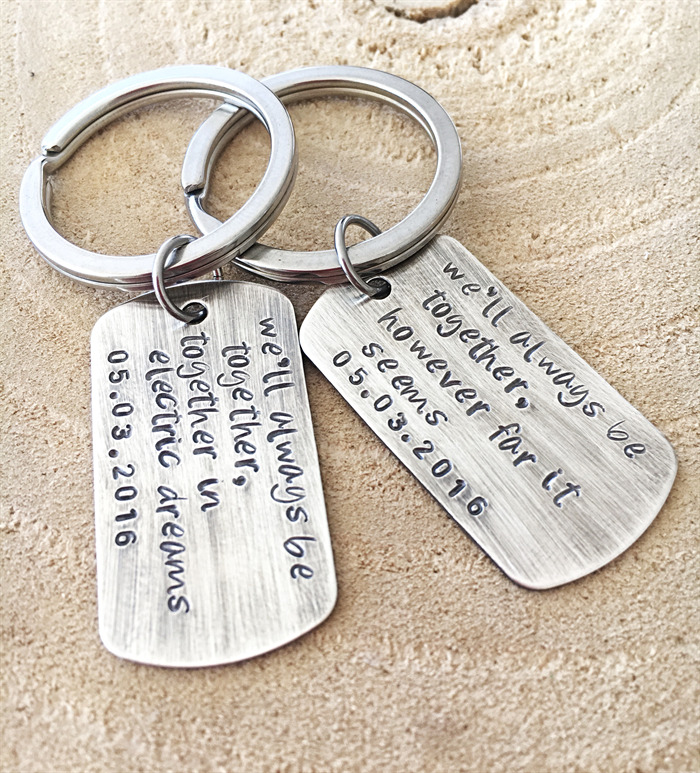 These two dog tag keychains are a great idea for anniversaries. You can match them with the same words or have a quote on the from a song like the example. Anything you choose can be stamped. 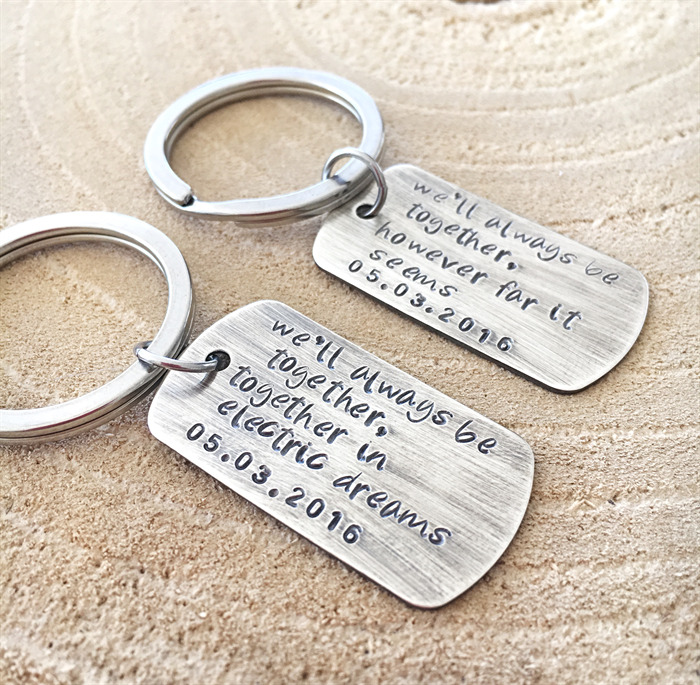 Such a creative way to share your anniversary together....maybe your wedding song will be perfect for these. If you prefer you can just stamp your names and dates. Anything works. 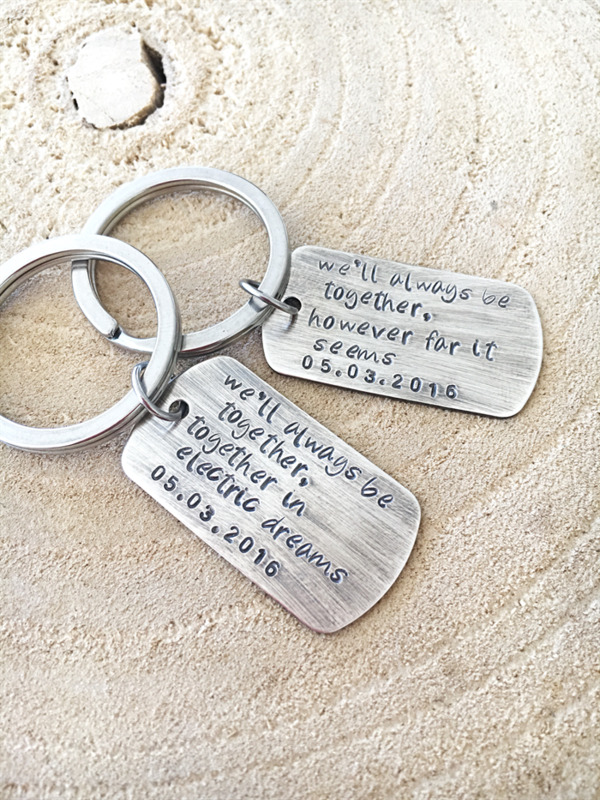 These measure 35mm x 19mm and are sterling silver, hand stamped by me and then hand antiqued to give a rustic and unique finish. Please leave any details in the message to seller section at checkout.